As Prost says: "They both dropped their Disgust for each other and simply Got On with one another." As Alain said later it was so unusual, since previously when the pair were in the motorhome together Senna wouldn't even say Hello to him. Thus, I won't try retelling the entire day's events, especially since I was neither there in person or watching the race upon Thy 'Telie. Yet ironically, J.J. Letho, who I've previously noted was injured in a testing accident earlier that year, made a hasty return to action at Imola, taking his race seat back from Jos Verstappen. In a weekend of incidents, Letho stalled his Benetton B194-Ford chassis at the start and was collected by Pedro Lamy, sending his wheel and suspension pieces high above the catch fencing and ultimately hitting four spectators! With Lamy's collision causing the Safety Car to be deployed, the very same safety car period that would ultimately lead to further tragedy on lap-6 when the race was resumed. In an even more bizarre twist 'O fate, Senna was to perish at the exact same corner that his good friend Gerhard Berger had almost lost his life at five years earlier, the daunting Tamburello corner, where Berger had been engulfed in flames for some twenty-plus seconds! Yet let's not forget about the further mayhem caused by Minardi's Michele Alboreto, who during a subsequent Pit-stop lost a wheel and ran into nearby Ferrari mechanics while a Lotus mechanic was struck by debris! As somehow, perhaps I'd recorded the race? 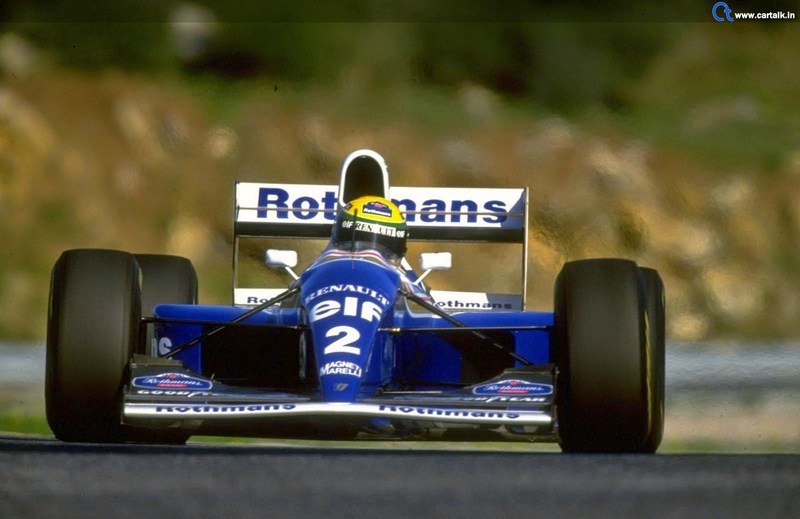 I vaguely recall seeing footage of sheets being placed around Senna's stricken Williams racecar in order to shield the probing camera's eyes while being attended to by Professor Sid Watkins and his medical staff before being flown to nearby hospital in Bologna where ultimately Ayrton was pronounced dead. As although this tragic announcement wasn't pronounced until 6:40PM, Senna's official time of death was listed as 2:17PM, thus having died instantly! After the carnage had been cleaned up during the Red flag period, the race was re-started and ultimately Michael Schumacher romped to victory upon aggregate time, albeit a very somber win nevertheless, with Ferrari's Nicola Larini being the race's runner-up - the last Italian to score Grand Prix points for la Scuderia, with McLaren's Mika Hakkinen taking the podium's final step - where "Mika-the-Finn" had led his very first ever Grand Prix laps. Thus, it's with these changes in safety twenty years ago that I find it rather ironic that the FIA is now mulling the reintroduction of active suspension in 2017, which seems like a very bad idea indeed! Active Suspension to return to F1? Black Sunday - Can it already be 17 years ago?